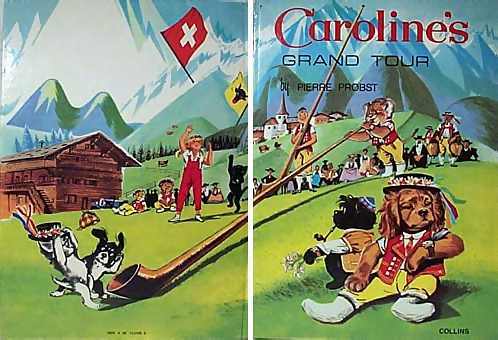 Pierre Probst (1913-2007 ) introduced Caroline and her feisty animal friends to the French public in 1952, and added to the series for a decade. 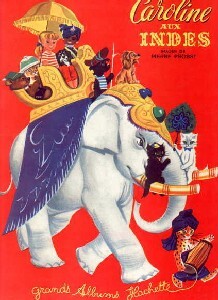 The illustrations are charming, full color, and with wonderful two-page spreads with great comic details. William Collins Sons printed the British editions, and Golden Press printed some American editions, but the titles aren't always the same for these translations. It also appears that Probst is at it again, adding 10 new titles in the last 5 years or so. Caroline at the Ranch. Golden Press, 1961. Caroline Goes to Sea. Wm. Collins Sons, 1954. 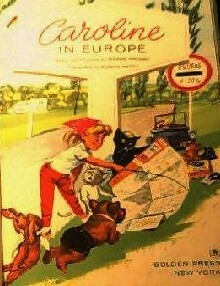 Caroline in Europe. Golden Press, 1960. Caroline's Grand Tour. Wm. Collins Sons, 1973. Caroline's Winter Holiday. Wm. Collins Sons, 1973. Golden Treasury of Caroline and Her Friends. Golden Press, 1961. 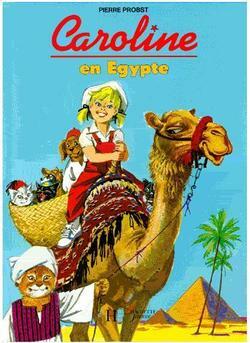 Caroline et le mystere du Chat fossile. Caroline et ses amis la vaillante prend l'eau. Bobby the Dog. Little Golden Books #440, 1961. Kenny and his Raft. Librairie Hachette, 1966, Hart 1968. Puff the Blue Kitten. 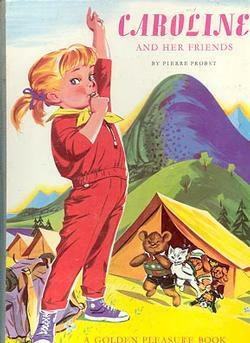 Little Golden Books #443, 1961. Birds Everywhere. by Jean Dorst. Whitman World Library, 1963. Bibiche en Alsace. by Blanchard. J. Barbe, 1945. The Days of Knights & Castles. by Pierre Miguel. Silver Burdett, 1985. Nature, an Introduction to our World. by Mary Refoy. Whitman, 1964. World of Animals. by Mary Holmes. Whitman, 1963. World of Nations. by Duncan Taylor. Whitman, 1963.